Just in time for ICAST, St. Croix rods releases information regarding their latest fly fishing rod, the Sole. The Sole is a 2 piece fly rod that performs like a 1 piece fly rod. 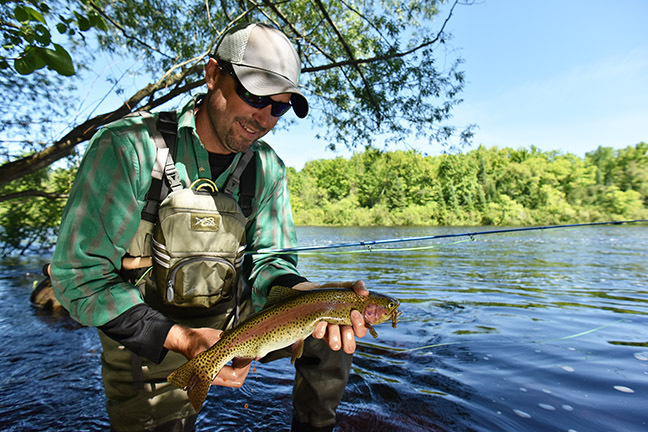 Park Falls, WI (June 27, 2016) – There’s been a battle raging within the walls of fly rod manufacturing plants since the first fur-and-feather flinger was ever created. Nothing to do with friction between the engineers who design them, mind you, but more a war waged between the designers and the rod blanks themselves. The conflict? The fibers within the blank’s wall and the fight to get them perfectly aligned between each section. And what a difference in casting distance and accuracy when those fibers run true. Take, for instance, the 4-piece blanks that are commonplace these days. Lining up the spline of each section is far from a flawless procedure. And the 2-piece rods fly anglers are also accustomed to? Although aligning splines is easier, they’re still never perfectly placed. Add to that, if you break the tip of the standard 2- or 4-piecer, building an entirely new top section may be the only remedy for its replacement. By far the best way to have every fiber running true is to manufacture a 1-piece blank. But transporting such long rods would be nearly impossible, even within the roomiest gas guzzler rolling the roads. But leave it to the innovative design team at St. Croix to once again take the creek less paddled and create the first 2-piece fly rod with its main ferrule reaching within 28 inches of the tip. With that said, let us introduce you to the state-of-the-art SOLE. Its name says it all: the one and only… And it’s built to handle every fresh and saltwater application thrown its way. Every fiber in the SOLE’s longer lower section is arrow-straight, which allows the rod to cast further and more accurately like a 1-peice fly rod, all the while removing the difficulty transporting a full 9-footer. Just remove the slightly over 2-plus-foot top and the rod is reduced to a shade over 6 ½ feet. Having the lower two-thirds of the rod fashioned of a single, highly-engineered ferrule greatly improves how the blank deflects through the casting process, as well as while fighting powerful fish. Advanced ferrule design also produces clone-quality replacement tip sections if you happen to break one off. As a result, your respawned SOLE will continue casting like the day it was born. Built with high-modulus/high-stain SCIV graphite with FRS for unparalleled strength and durability, nine models covering 4- to 12-weight blanks—also created with IPC, ART technologies—cover the full gamut for freshwater and saltwater tactics. Adorned with Kigan Master Hand Zero Tangle stripper guides with solid-titanium frames for the ultimate protection from saltwater corrosion, and REC® Recoil® snake guides for lightweight, corrosion-proof performance, each guide, including the Kigan solid-titanium hook-keeper, is held steadfast with high-quality thread and two coats of Flex Coat slow-cure finish. And the Fuji® TVS reel seat holds fly reels solidly in place while delivering durable, corrosion-proof performance. This, while a super-grade cork handle offers superior grip, yet is easy on the hands. Retailing at $340 to $360, the SOLE includes a protective, dual-ply mesh sack and carries a 15-year transferable warranty backed by St. Croix Superstar Service. 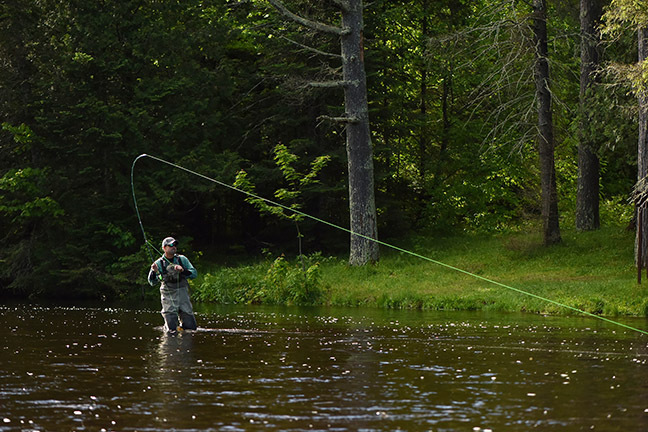 Designed and handcrafted in Park Falls, Wisconsin, U.S. of A., the new SOLE fly rod series proves St. Croix truly does create “The Best Rods on Earth.” And the long awaited end to the perfect casting fly-rod war is over. 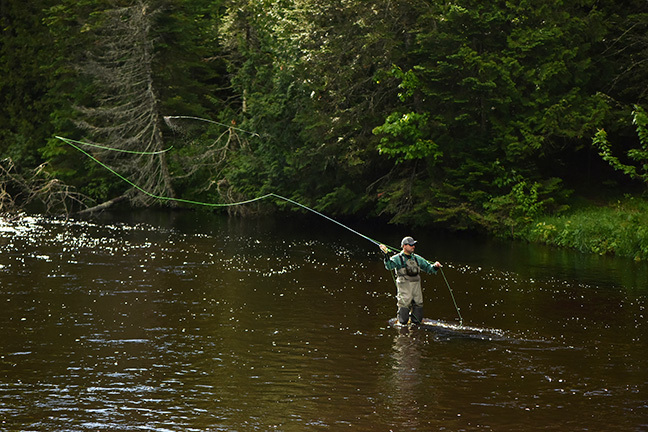 St. Croix Rod is a family-owned and managed manufacturer of high-performance fishing rods headquartered in Park Falls, Wisconsin with a 68-year heritage of USA manufacturing. Utilizing proprietary technologies, St. Croix controls every step of the rod-making process, from conception and design to manufacturing and inspection, in two company-owned facilities. The company offers a complete line of premium, American-made fly, spinning and casting rods under their Legend Elite®, Legend® Xtreme, Legend Tournament®, Avid Series®, Premier®, Wild River®, Tidemaster®, Imperial® and other trademarks through a global distribution network of full-service fishing tackle dealers. The company’s mid-priced Triumph®, Mojo Bass/Musky/Inshore/Surf, Eyecon® and Rio Santo series rods are designed and engineered in Park Falls, Wisconsin and built in a new, state-of-the-art manufacturing facility in Fresnillo, Mexico. Founded in 1948 to manufacture jointed bamboo fishing poles for a Minneapolis hardware store chain, St. Croix has grown to become the largest manufacturer of fishing rods in North America. Tri-Cat: Blue Sky Boatworks Goes Big!